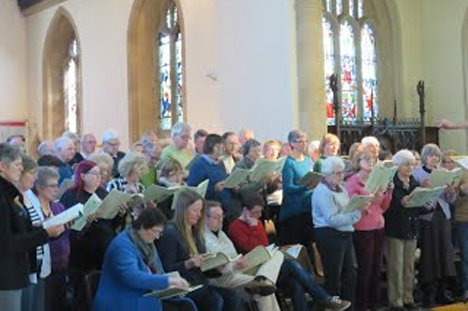 We are an amateur choir in Marlborough, Wiltshire. We have a classical repertoire - recent concerts have included works by Mozart, Haydn, Handel, John Rutter and Karl Jenkins. No audition is required to join the choir but it helps to have a little musical knowledge. We rehearse on Monday evenings. If you enjoy singing and would like to sing for pleasure with other local musicians come and join us for a series of 5 informal evenings in April and May. This is a great opportunity to learn some new songs, sing some old favourites (including songs from the shows and English folksongs), and learn a little about singing technique. The evenings will be run jointly by Gill Mortimer (musical director of MCS) and Emma Pooley (professional singer and singing teacher). It is also a great chance to find out more about our choir and to see whether you would like to join us in the autumn. The sessions will take place on Monday evenings -- April 8, 15, 29 and May 13 and 20 at Christchurch Methodist Church, London Road, 7:30 to 9:30pm. £15 for the five sessions, music will be provided. Don’t worry if you can’t make all 5 sessions, each evening will be complete in itself, so join us when you can. If you would like to come along or find out more, please contact us.